This bold design will command respect as it adorns the wall of any lawyer, judge, or advocate of the justice system. 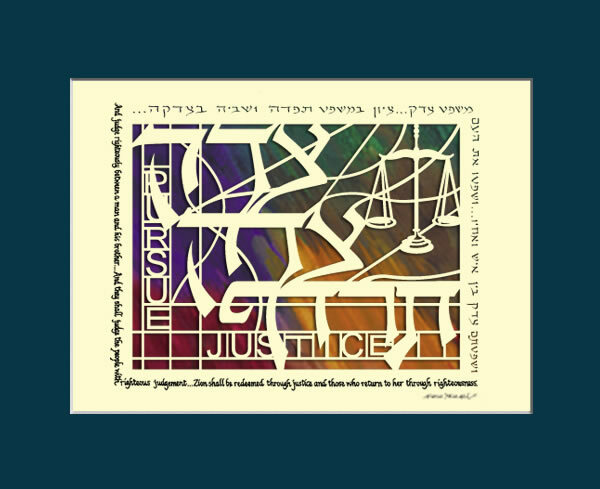 “Tzedek, Tzedek Tirdof” means “Justice Justice you shall pursue.” Hearing the word justice pronounced twice reminds us that justice and righteousness must reign for both sides of every dispute. 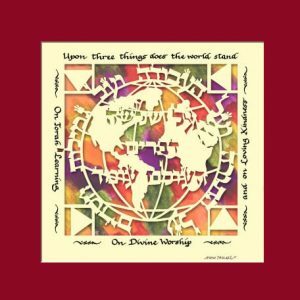 The straight and curved lines represent “Din” (Law) and “Rachamim” (Mercy), both taken into account in Jewish Law. 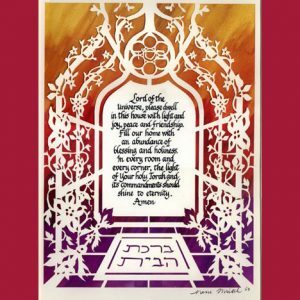 This stunning Jewish Art by Israeli Judaica artist Marci Wiesel is a beautiful gift to congratulate someone on joining the law profession or on moving up in their position. 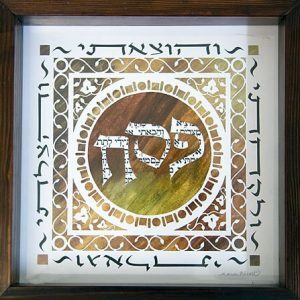 This papercut Judaica is written with the Hebrew aleph-bet.